the ongoing rainy season and lean season period. 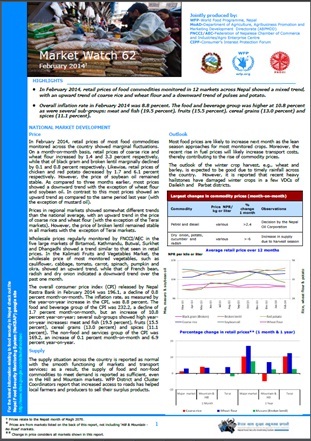 In June 2014, retail prices of most food commodities monitored in 12 markets across Nepal showed an upward trend due to the lean season of most crops and the onset of the monsoon period. 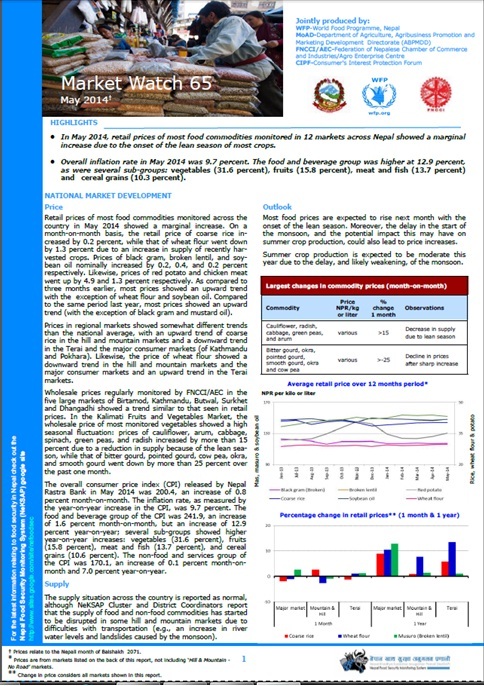 In May 2014, retail prices of most food commodities monitored in 12 markets across Nepal showed a marginal increase due to the onset of the lean season of most crops. 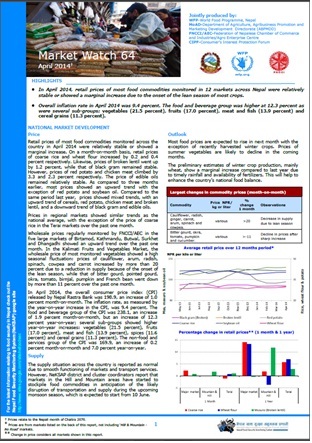 In April 2014, retail prices of most food commodities monitored in 12 markets across Nepal were relatively stable or showed a marginal increase due to the onset of the lean season of most crops. In January 2014, retail prices of most food commodities monitored in 12 markets across Nepal were relatively stable with some marginal fluctuations.